Buying interior RV accessories is an absolute necessity whether you travel part-time or you live in your RV year-round since it can make the difference between being comfortable and not. 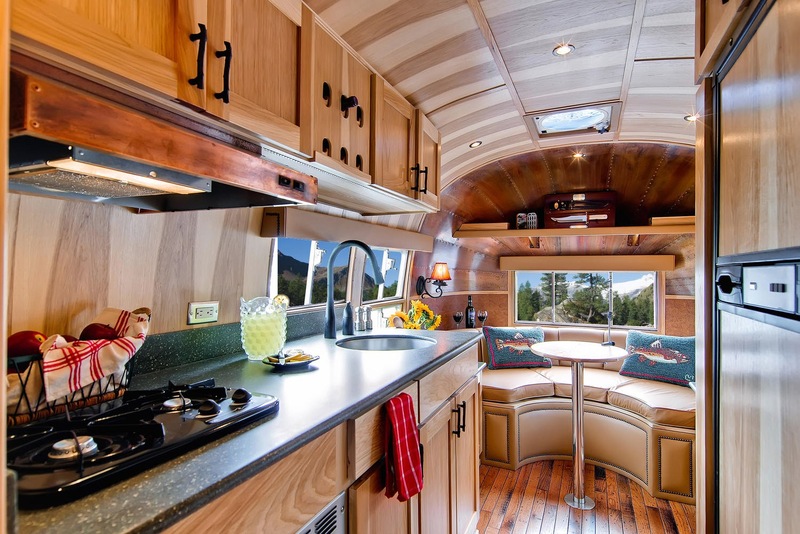 Whether you had in mind purchasing accessories to help create a functioning kitchen to cook in or you would like to buy a few accessories to improve the appearance of the interior of your RV, it's important that you keep in mind the importance of saving space and making the most out of the square footage that you have. Since maximizing space should be your top priority when choosing any accessories to be bought for your RV, it makes sense to look for collapsible items and things that can be stored away without lacking in the quality that you would expect. Some of our favorites are the Dirt Devil RV Central vacuum with is small footprint, out of sight installation and incredible suction and Spice Clips with their simple design, but uncanny ability to save space by storing spices in a convenient way. Anyone that owns a RV knows firsthand just how cramped the space can feel with the introduction of accessories that are not designed for smaller spaces. If you need to purchase an ironing board, for example, you should opt for a model that can be hung onto the back of a door or be collapsed into a compact size for storage. Keeping an eye out for accessories that are able to fit away for storage without a problem should ensure that you're able to maximize the space. Whether you're looking for decorative accessories or ones that serve a purpose, it's important to consider whether or not the purchase is necessary. Since you want to make your RV feel like home, but don't want the space to feel cramped with tons of clutter, it's often best to choose accessories that you feel are essential to the appearance and function of your RV. Feel free to browse all of the RV Accessories we have to offer and for additional advice regarding any product, utilize the easy to use Q & A feature located in the detail section of any accessory.